Are you a good gunsmith? Or want to become one? Do you want to master your gunsmithing art? Then you should take help of the best gunsmith tool kit. 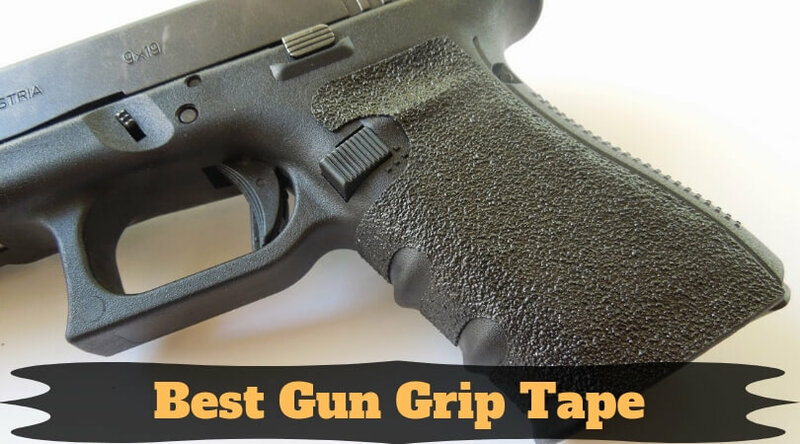 Today, we will see the top gunsmith tool kit reviews and also pick up the best product among them. Gunsmithing is an art, and a professional gunsmith has more or fewer abilities of a woodworker, an artist, an engineer, a magician, a mechanic, and even a chemist. You will ask that what a chemist or a magician can do in gunsmithing art? 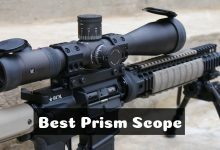 Well, not professionally, but the thinking and maneuverable capability of such profession can do very much in producing great gunsmithing work. Even if you don’t wish to be a master gunsmith and only want to do some tinkering or repairing work, then also you require a good-quality tool and supplies for the firearms. Before choosing the best gunsmithing tools, you should decide which type of firearms you are or will be working on. Also, consider the space in your workshop where you will do the gunsmithing art. 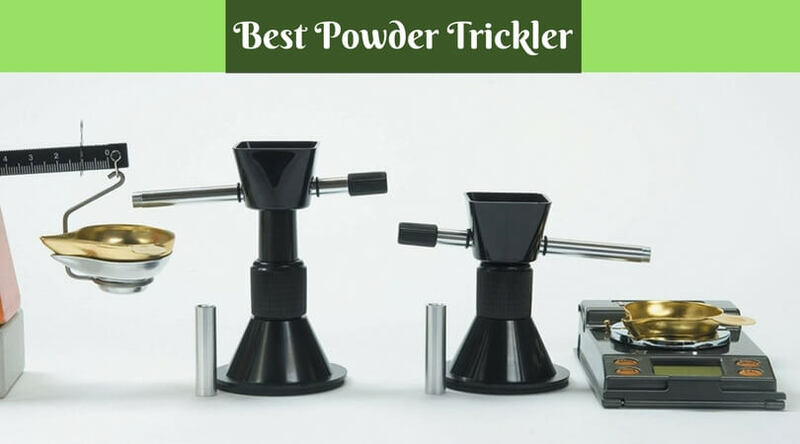 If you are ready with your list, then let’s check the reviews of the most sought equipment. This is a comprehensive collection of top quality gunsmithing tools from Weaver. The durable build of the 88 different usable pieces assures you of long-term use. 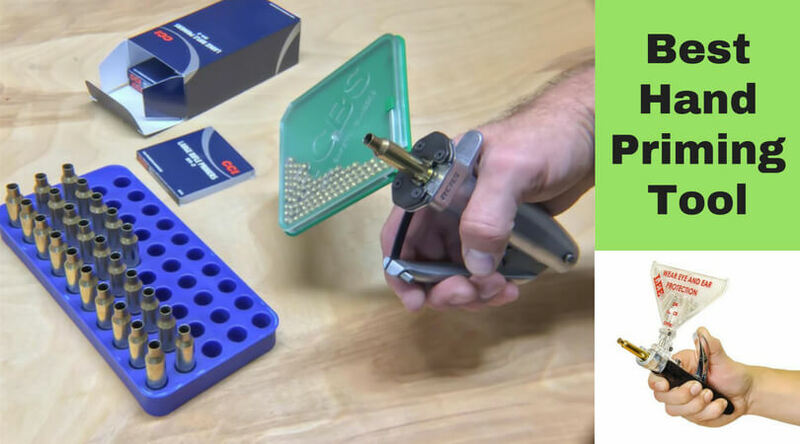 It can be rated as the best Gunsmithing starter kit in the market, and so it is a recommended option for the beginners. It comes with a brass hammer with adjustable precision and various sized screwdriver heads. The included steel punch set can fit in any size of pins. The high-quality material of all the 88 pieces offers you perfect hunting gunsmith tools. 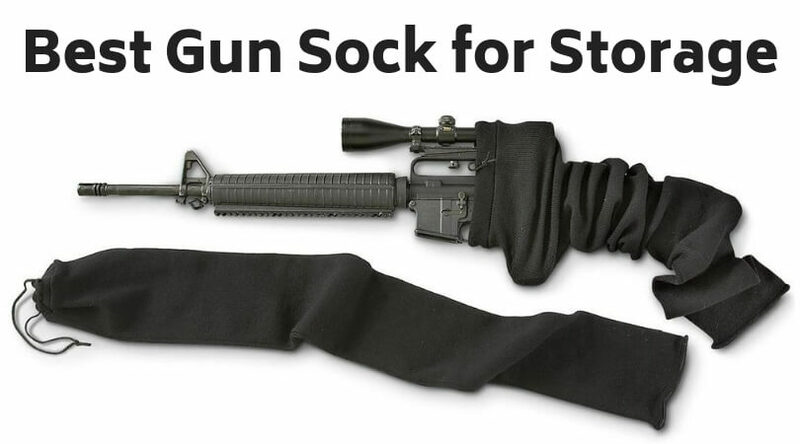 It helps to keep your firearm in top condition always. 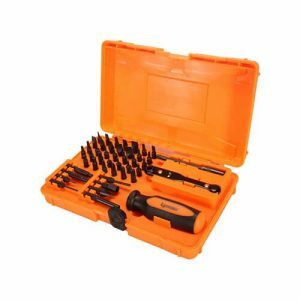 The tool kit comes with a durable case which will protect the tools from rust and moisture. The tools are not made in America. The bits are not marked with their size which could be more convenient. 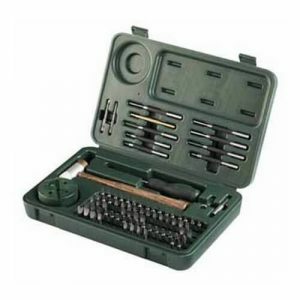 This small sized gunsmithing kit from NC Star comes with a wide range of tools. If you travel a lot with your firearms, then this can be the perfect choice due to its lightweight build. The kit includes a bench block, a triangle mill file, a brass-ended mallet, a screwdriver, various sized bits, a hex drive, and some other useful tools for gunsmithing. The included safety glasses will protect your eyes while working. This tool kit has a portable design with a weight of only 4lbs & a 16-inch total length. 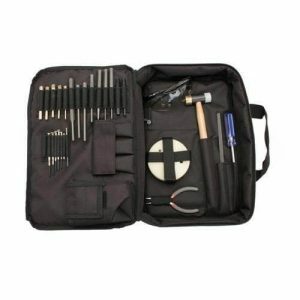 All the tools are placed in a soft, protective case which makes the kit easy to carry anywhere. Affordable price and manufacturer warranty offer you to have a hassle-free purchase. Though the components have good-quality material, they are not made in the USA which may not be liked by some users. 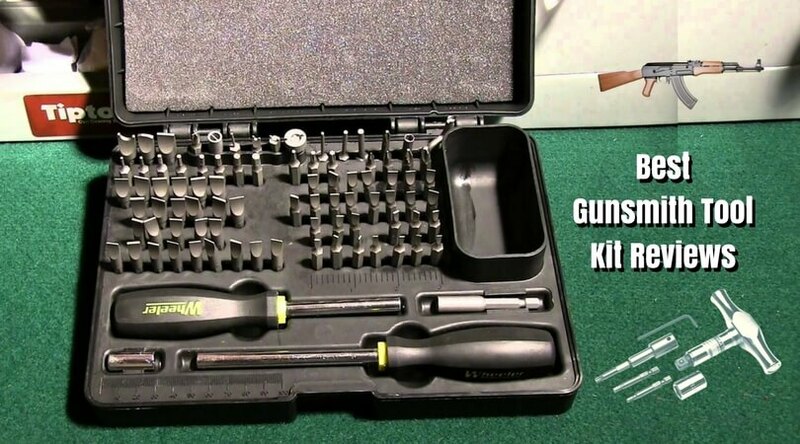 The multi tool kit from Lyman offers all the needed equipment for the professional gunsmiths and for the people who are regularly dealing with firearms. If you have limited space in your work area, then you can go with this option as it comes in a compact design. The kit includes different types of screws like hex, slotted, 6-lobe, and Phillips who will fit in any firearm. Different types of included bits like Glock front sight, weaver scope ring, and 1911 grip bushing will suite to all size tools. The pin punches of .118-inch, .093-inch, and .062-inch make it a perfect multi-tool kit. Available in 48 pieces and 68 pieces options to allow choosing the most suitable one for your requirements. A plastic case will protect the tools from rust and makes them convenient to carry. It helps to keep your firearms in highest quality conditions as long as they desire. As it is made in China, few users will doubt about the quality of the material which can help other brands to stick in the market. If you want a quality gunsmith tool kit which also has neatness and convenient use, then it is recommended to go with the GCT 17 from Grace USA. It contains a total of 17 pieces organized in a durable, protective case. All the 17 pieces are made from high-quality material to offer stylish yet sturdy repairing equipment for your firearms. The parts are made in the USA which means you will be assured of the premium quality of the tools. The kit includes a brass hammer with 8-ounce weight, eight hollow ground screwdrivers, and eight pin punches of brass. 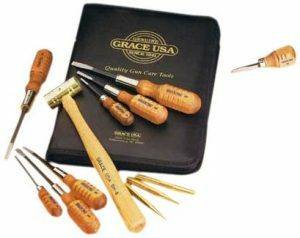 You will experience a noticeable difference compared to other standard gunsmith tool kits when you use Grace USA GCT 17. The vinyl pouch is soft yet sturdy to keep all tools in one place and also makes the kit comfortable for traveling. The kit is small and for those who are looking for a complete gunsmith tool package; it is not a recommended option to go with. 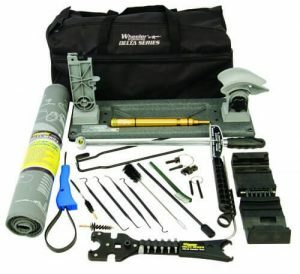 As mentioned in the name, this gunsmithing kit from Wheeler is for the professionals who want a complete set of tools for their firearm works. It comes with only the needed bits and other equipment so that you have not to pay for the extra or useless firearm supplies. It provides a complete list of components (total of 19) that are needed to make a full rifle construction. All the tools are arranged in a protective case which is easy to carry and store. The kit comes with a basic yet helpful guide for knowing the location of the screwdriver bits, which is loved by the beginners. The screwdrivers build with rubber handle which provides comfort and adjusts in your hand perfectly. You can smoothly operate these tools even in wet conditions. Easy to use functionality, durable quality, and affordable price make this gunsmith tool kit favorite among professionals. 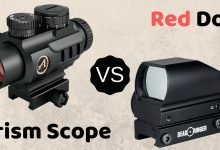 Though it offers professional tools for firearms, the limited quantity of the components may create doubts in the user mind to go with this kit. Not every gun owner can be a good gunsmith worker, and that’s really ok. Because, repairing, cleaning, and maintaining of the firearms is a bit difficult, time-consuming, and an accountable task. 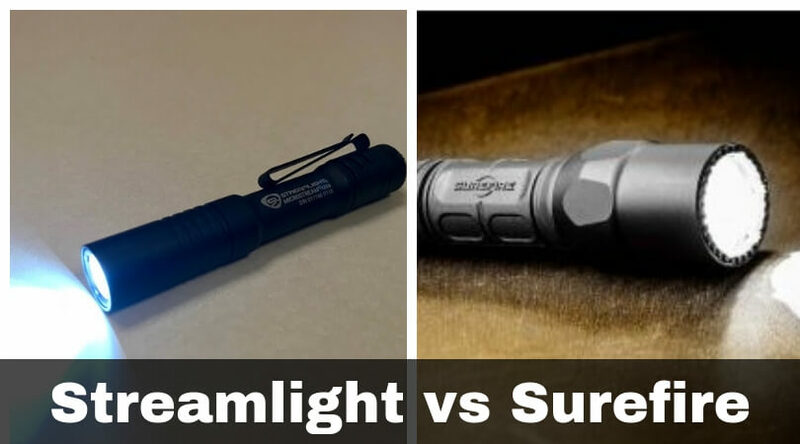 You should be clear in your mind which kind of tools you will need for your specific firearm. You should also have a good knowledge of using various types of gunsmith equipment and supplies. All these together will help you choose the best gunsmith tool kit according to your needs and budget. According to the reviews and user ratings, the Weaver complete deluxe tool kit is our top recommendation for the professional gunsmith. 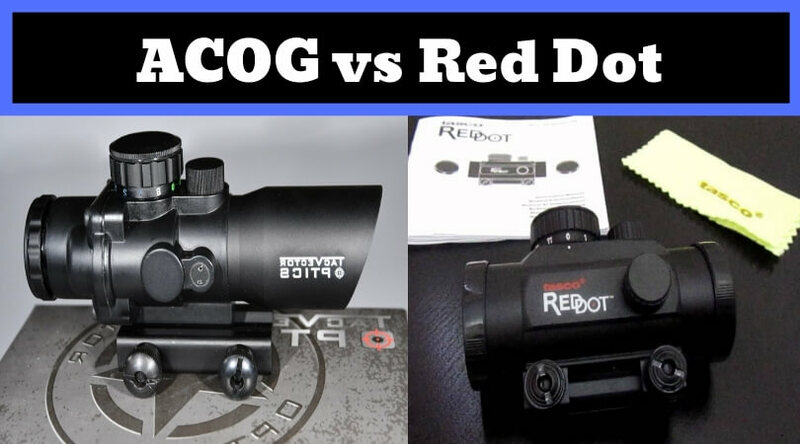 ACOG vs Red Dot – Which One is the Best for You?